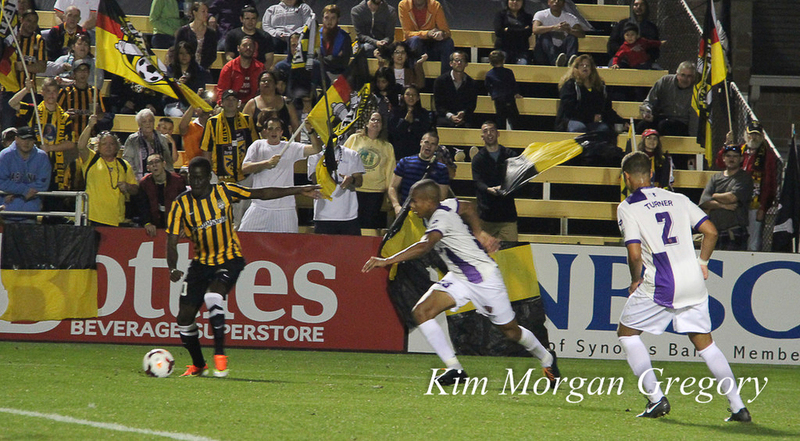 The Battery began their 22nd season in Charleston on Saturday when they played host to the MLS-bound Orlando City SC. The match ended in a one all draw. Continuing the affiliation that was set up in 2013, Vancouver Whitecaps FC have provided eight players to the Battery this year. The match featured one as a starter, and four others came on as substitutes. In the Professional Division, clubs are allowed to make up to five substitutions. 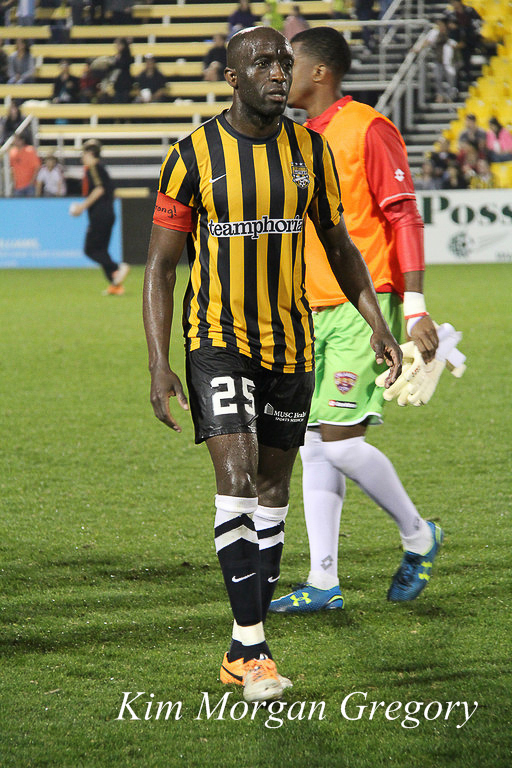 Adam Mena (48th, 2013), started the match before coming off for Mamadou Diouf (30th, 2014) in the 58th minute. The Senegalese striker scored the opening goal after having been set up by the highly touted 20-year old Omar Salgado (1st, 2011). Salgado came on for the start of the second half, replacing Heviel Cordovés. Aminu Abdallah, also of Vancouver, joined the action in the 63rd minute, and 18-year old Jackson Farmer got a cameo in the 89th minute. 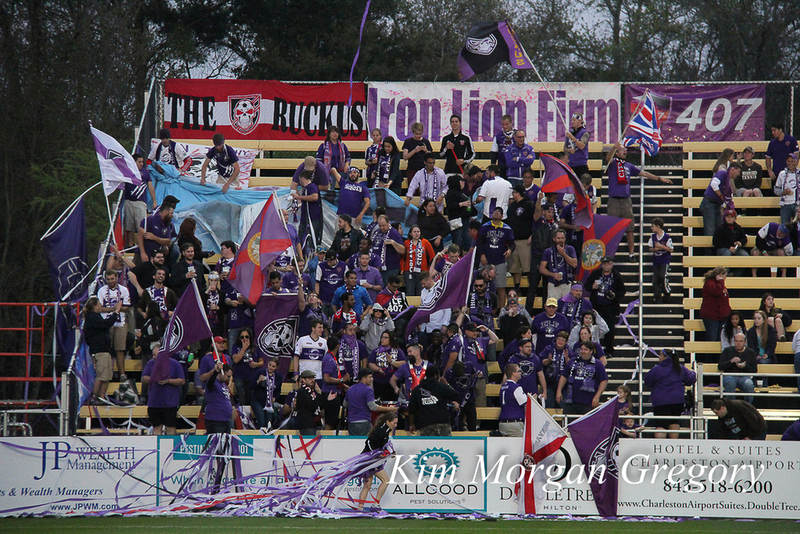 Travelling Orlando City SC Supporters at Battery Park on 22 March 2014. The crowd of 3,773 included a sizeable contingent of visiting supporters. 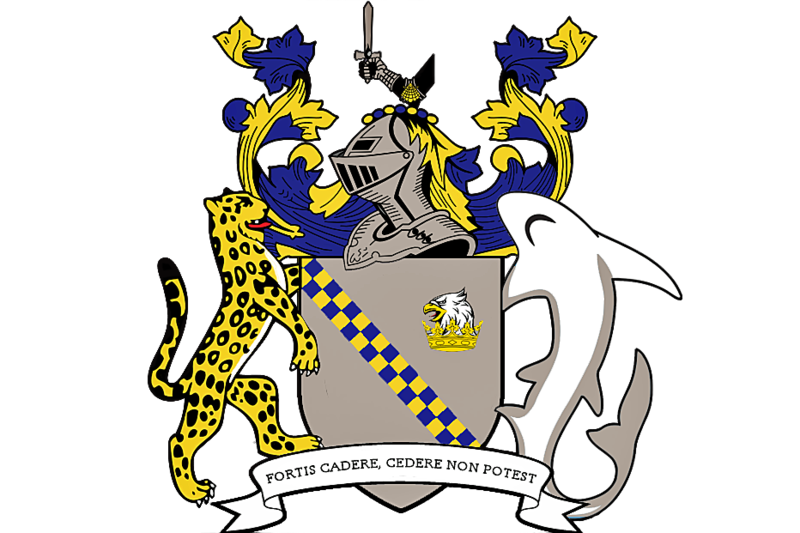 This was the first competitive match for City since the MLS announcement and Orlando is just five and a half hours by car from Charleston, or about the same distance as Vancouver is from Portland. Orlando would pull one back in the 75th minute thanks to an Austin da Luz strike, and leave neither side too happy with result, which probably means it was a fair one. 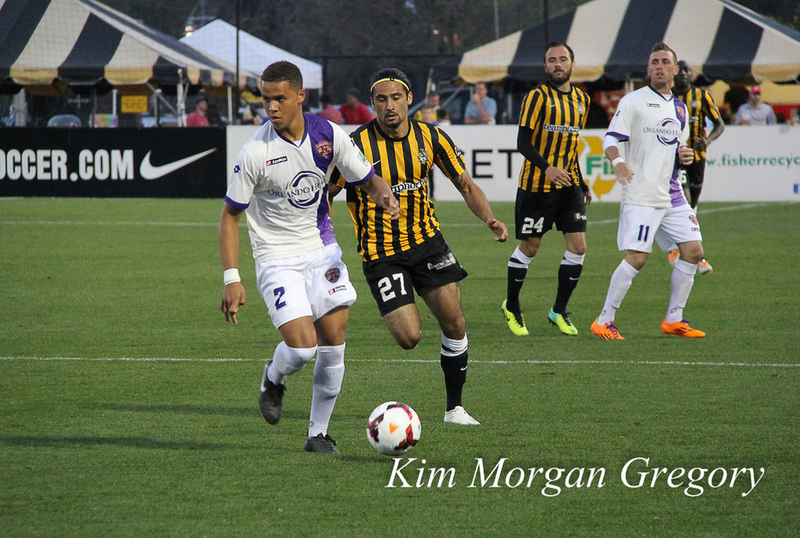 "We're going to get everyone's best shot this year," said Orlando manager Adrian Heath. 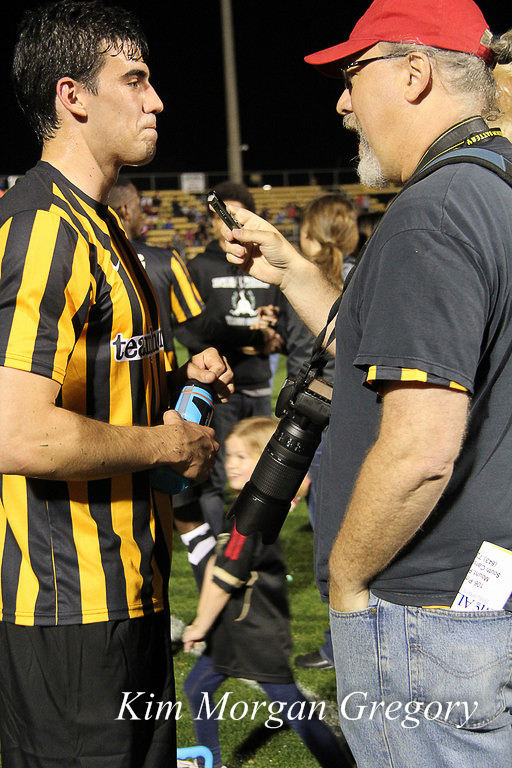 "Their players were hungry to go out and try and win one over Orlando, the team that's going to MLS. We know we’re going to get it every game, we’re just going to have to respond to it." 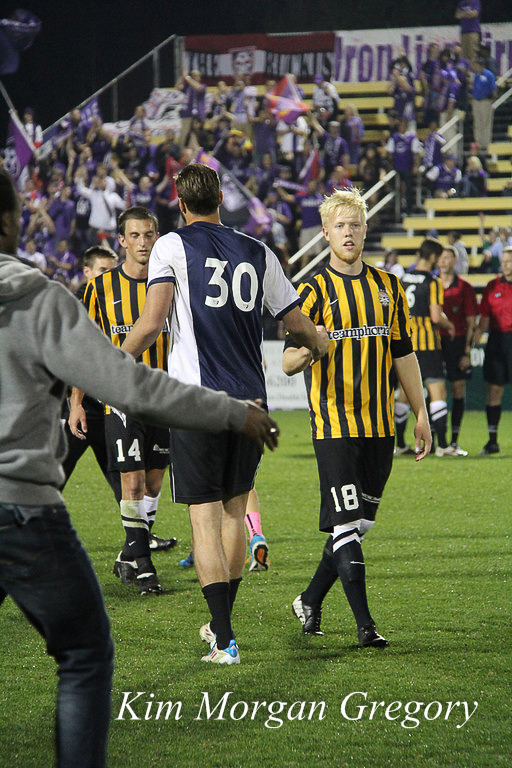 In preparation for the move to Major League Soccer, City brought in former Whitecaps Brad Rusin and Corey Hertzog, who both featured in Saturday's match. 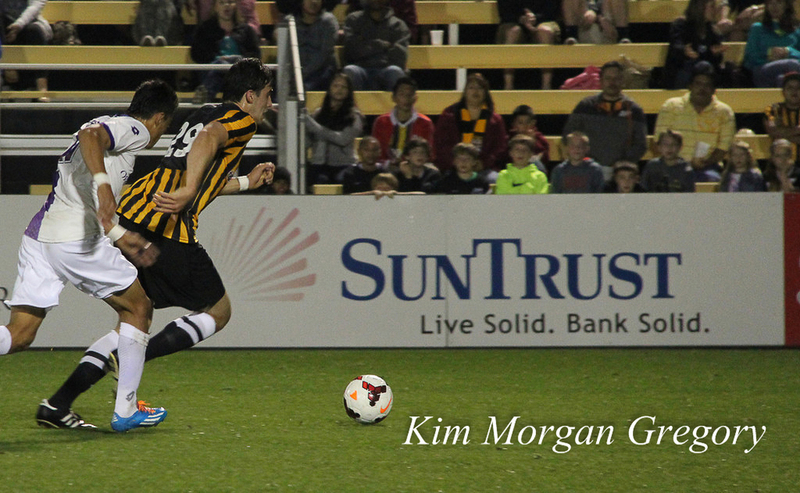 On Saturday, March 29th, the Battery play host to Richmond Kickers SC at 4:30 PM PST. Click here to open our fullscreen slideshow.